Let’s be honest – these days we all could use a dreamy escape. When it comes to cities that feel like a dream, you can’t get much better than Barcelona, one of the most beloved cities in Spain which often lands on many traveler’s lists of favorite cities in Europe. Located in the North East of Spain, Barcelona is the capital of the Catalonia Province, which has an entirely different feel, culture, and even language than the rest of Spain. If you like to discover the difference between Spanish culture, love art and history or just want a dreamy escape, don’t be afraid to go there and explore, merge yourself with the locals and have a look around the beautiful architecture and scenery. A central pioneering force in molding this spirit was Antoni Gaudí, a Spanish architect who spearheaded Catalan Modernism and marked the city with his profound architectural style. The city is home to seven works by Gaudí that today are prized UNESCO World Heritage sights. There’s a lot to see in Barcelona, but if you really hoof it and have a well planned itinerary plotted out ahead of time (like the one below), you’ll be able to see a lot in a limited amount of time. 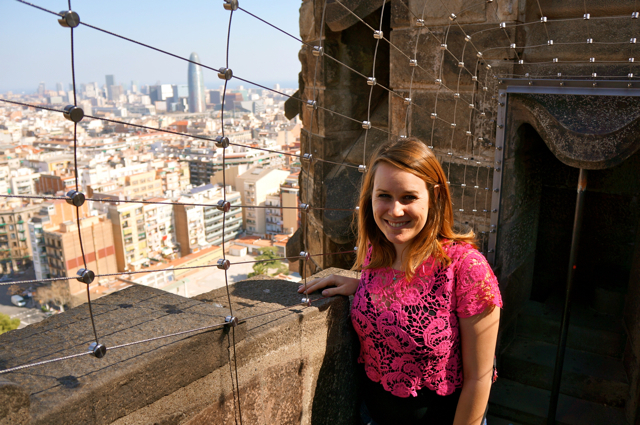 Follow along on this 24-hour Barcelona itinerary to see the best of the city in a day! Begin your morning in Barcelona with a stroll down La Rambla, an iconic pedestrian boulevard lined with trees, shops and street performers. 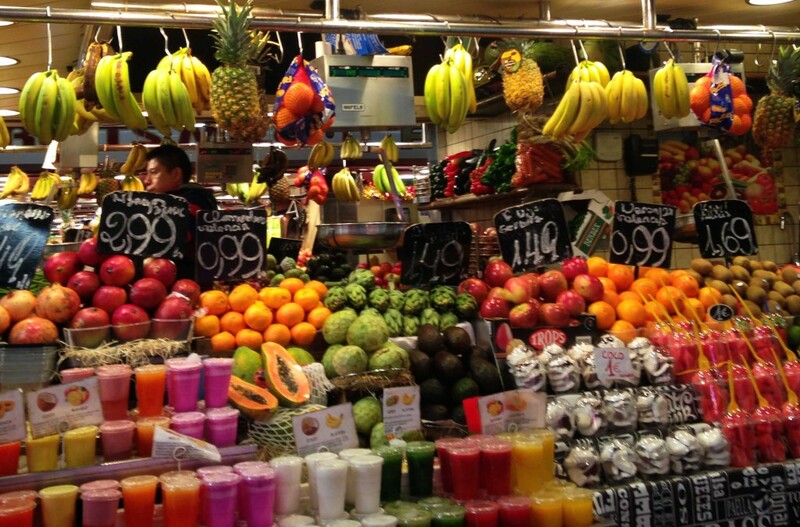 Enjoy breakfast (I recommend the fresh fruit juices) at Mercat de Sant Josep de la Boqueria, a giant food market that is popular with both tourists in search of some of Barcelona’s best street food, and locals, stocking up on fresh ingredients for home cooked meals. Wander the stalls and sample on what catches your eye! La Rambla borders the gothic quarter, the old city of Barcelona. Buildings here date back to the 1800’s. Plan to spend about 30 minutes in this section of town, wandering the streets and discovering what hidden treasures await. 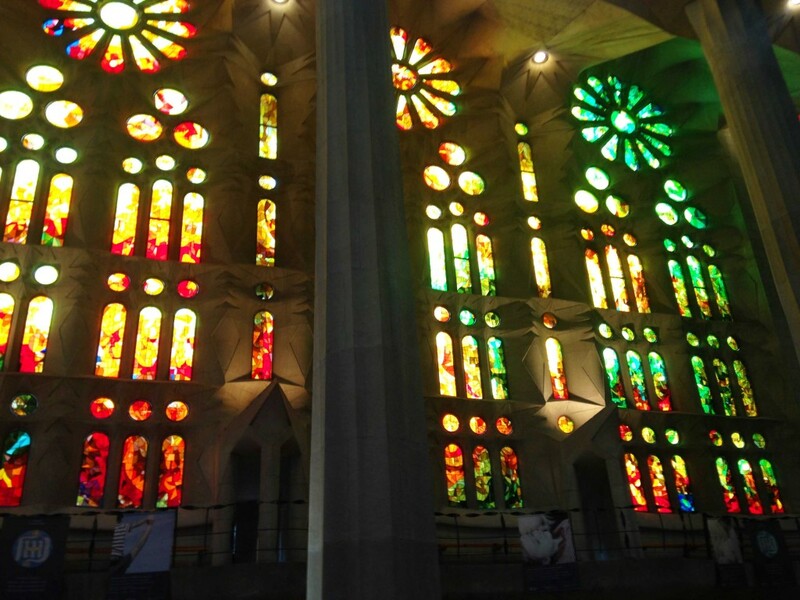 Mid-morning hop on the metro and head to La Sagrada Familia, a cathedral is all at once Gaudí’s most revered work and the most visited attraction in Spain yet still remains unfinished after more than 100 years of construction. End your morning by heading to the hills! 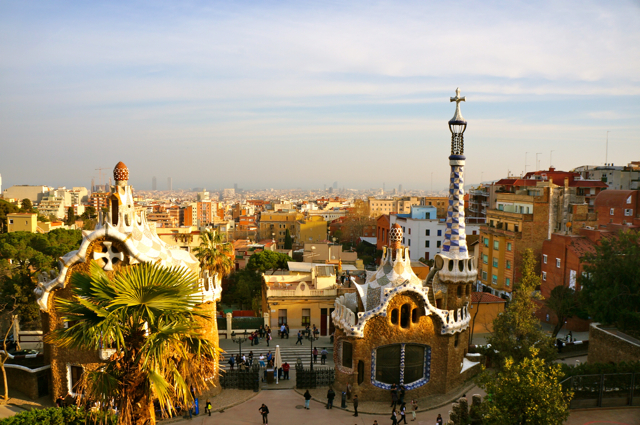 In the hills of upper Barcelona lies Park Güell, providing a scenic escape to nature steps from the cosmopolitan setting. Relax on one of the seats of the long, serpent shaped mosaic bench on the terrace and enjoy the view of the gardens below and the Barcelona city streets leading to the streets. With bright colors, asymmetrical mosaics and fanciful designs, many elements in the park look like, as my mom said, a Dr. Suess book come to life (indeed the writer and cartoonish was influenced by Gaudí’s works), especially the two gingerbreadesque houses that lie below the garden. At this point in the day you are in for a treat in the form of a late lunch. While there are a few restaurants in the park itself, I recommend taking a short walk to Restaurante la Cartuja, a local café that has many good (and cheap) plates. When you’ve had your fill to eat, take a cab or the metro to Palau Nacional, a neo-Baroque style building on Montjuic hill that is home to the Museu Nacional d’Arte de Catalunya (MNAC). This world-class museum has a plethora of collections that are revered. The Romanesque art section is hailed as the world’s most important concentration of early medieval art. City views from the museum are also incredible. As darkness takes hold, the front of the Palau Nacional is a great spot to begin watching Magic Fountain, a free light and water show that runs nightly. 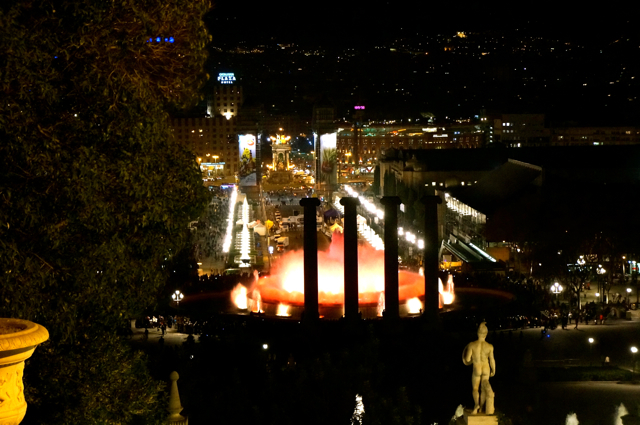 From the Palau Nacional, several tiered terraces complete with fountains of their own lead down to Placa de Carles Buigas, home to the fountains that house the show. The Magic Fountain operates from 9-11:30 p.m. in summer months and 7-9 p.m. the rest of the year. 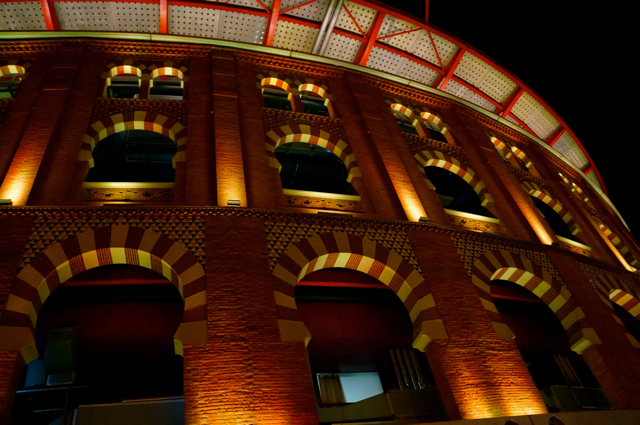 For uninterrupted views of the city at night head into the Arenas, a shopping center located in a former bullring at the end of Placa d’ Espanya. The complex has a rooftop you can walk (or dine) around. Take a glass elevator to the top for one euro or ride the escalators for free. Now it’s time to treat yourself to a well-earned drink, cup of gelato or dinner of tapas and congratulate yourself on conquering the best of Barcelona, Spain in a day!